Quietening down for the summer? Fancy owning an escape room in York? Looks like a York based game is up for sale. The Locked Door in Aberdeen have opened their second game, Raiders. If you’re going to the Stay Wild Festival near Southampton that takes place on 9/10th September then you’ll have the chance to take part in a child-friendly escape room experience. It’s been around for a few weeks but I hadn’t noticed till now – Abducted Live have opened a second experience at their venue in Hastings. Ipswich Escape Rooms open their doors this week with the Secret Clubhouse, their new game, already fully booked for the first week. Cambridge University are running another escape room as part of their alumni events. Could this be the biggest escape room ever run in the UK? Xscape Now helped the International Centre set up the event over the 15,000m² venue. The Missing opened at Escapism Chester recently. 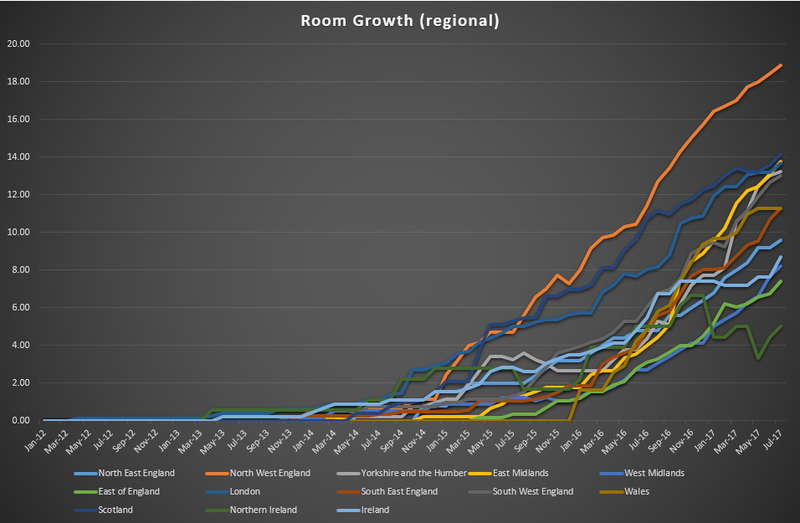 It’s been over a year since I last discussed the growth of the UK and Irish escape room markets so I thought I’d share the current state of play with y’all. As part of maintaining the game list on this site, I track when games open and close and which regions they’re in. That, in turn, allows me to generate graphs showing the growth across the country and individual areas. There’s no promise that the figures are 100% accurate (with new rooms opening up at a rate of around one a day, it’s unlikely to ever be truly up to date), but they are at least pretty close. With that in mind, here are two charts that show the growth of escape games in the UK and Ireland. Firstly a simple chart of escape room count, plotting their growth since 2012. Second a breakdown of the same data by the standard NUTS regions, charting rooms per million population as a crude way of allowing them to be easily compared. If you’re not familiar with the term NUTS regions, don’t worry. These are just the standard way of breaking down the countries into separate parts, such as NW England, London and the East Midlands. Within those NUTS regions you can see various trends. Interestingly the North West of England is moving well clear of the pack whereas the rest of the big players seem to be converging to around the same level. Could this mean that the North West is in for a dip? Or does the M62 corridor mean that they’re building up a group of committed enthusiasts – certainly, if you look at bloggers around the country, it’s always been the region with the most interest. So, back to the original question: How’s the local escape room market doing? Based on the above, I feel that the market is still growing and will continue to do so through the remainder of this year and the whole of 2018. Last time round, a commenter asked me to estimate the annual turnover of the UK market so I think it’s worth doing that analysis this year. 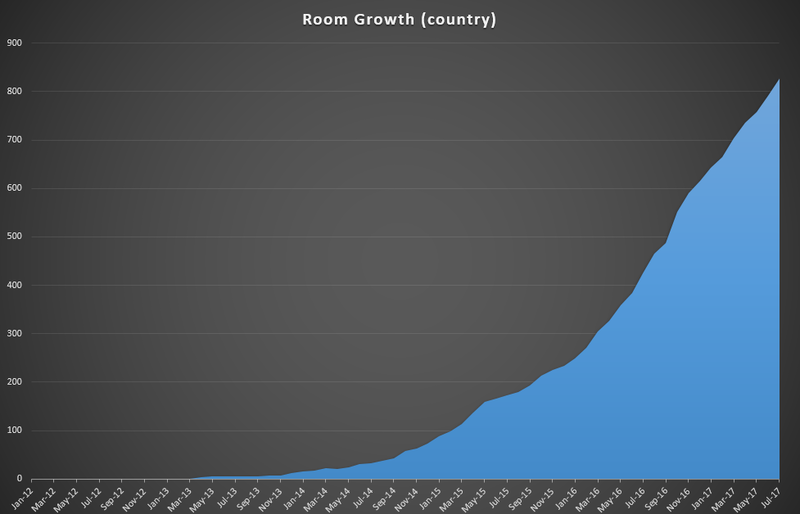 It’s hard to say for sure but… there are currently ~800 rooms in the UK. Those rooms are typically filled at the weekends and evenings only. I’d say, on average, 15 slots a week based on looking through various companies’ bookings. The average cost is probably around £60. 800 rooms * 15 bookings/week * 60 pounds/booking/room * 52 weeks = ~£38,000,000. So, I’d estimate the industry turning over somewhere in the region of £40m this year. It’s worth bearing in mind, if you’re an owner feeling like that’s quite a high mark, that there are some big players that skew numbers. I’d be surprised if Time Run and clueQuest don’t each turn over something between £1 and £1.5m per year, while Enigma Quests have booked out around 500 consecutive slots of one of their rooms and I’d estimate already have £100+k of bookings in the next five months. What do you think? What would you like to know more about? Feel free to add questions or comments below. Owners: if you’re ever interested in the most recent data then feel free to drop me an email – it’s easy enough to give you up-to-the-minute figures. A pretty good start, I think – not only are we already pretty close to making that target of eight rooms but it doesn’t look like I was overly cautious. It seems unlikely we’ll get to, say, twelve of them. Prediction: Escape rooms will appear on a UK made soap opera or equivalent. Prediction: Escape rooms will appear on a UK made nationally broadcast reality TV show. I’ve not heard anything along these lines. The closest I’ve come across was some Arsenal footballers taking on a custom escape room for a Betfair advert. Still plenty of time for these to come true! 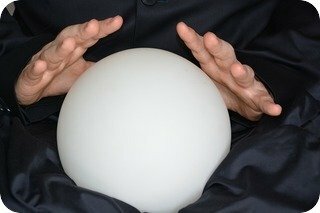 Prediction: A new escape-room-like venue will be announced in the UK similar to Boda Borg, the Crystal Maze or GoQuest. We’ve already had Never Give Up in Newcastle open and Crack it Bolton announced so I think we can safely put this one to bed but I’ve heard tell of at least one other so this might be a prediction which over-achieves. Prediction: At least four overseas franchises not currently in the UK and Ireland will open a room. At the moment, you’d be forgiven for thinking that this one has failed miserably with not a single overseas franchise appearing on these shores BUT there’s a silver lining. Claustrophobia look likely to open in a couple of months, There’s the vaguest suggestion that Escapology might open up in Manchester and, of course, Escape Hunt are looking to open a couple of venues in the country. If all three of those were to put down roots it would only take one more company to hit the UK for the prediction to come true. Escape have moved halfway towards the target, Clue HQ have been shadowing them pretty closely but probably aren’t moving quite fast enough to overtake the leader. Breakout have been expanding fast in their existing locations with over 30 rooms now open and another few planned for the next few months. The big surprise, which I called as a long shot at the beginning of the year, is Escape Reality, who’ve gone from almost nothing to 29 already and have plans for a bunch more games in the next couple of months. I definitely wouldn’t it past them to hit 50 by 2018. Looks like this will be incredibly wrong, and if I had to be wrong about one prediction then this would most definitely be my choice. At the time of writing, I know of ten venues that have closed this year. Of those, half were always intended to be temporary rooms (Escape Mobile, Clockwork Dog, Escape this Room, the Portsmouth Naval Museum and the Eden Project) so, really, we’ve had very little attrition. This seems almost certain to come true however you look at it but if you’re willing to count multi-packs of games separately (such as Unlock from Space Cowboys) then we’ve already had ten launched this year and expect to have a good few more. So far this hasn’t happened in the UK but there’s a very good chance we’ll hit that later in the year with a London conference. Prediction: At some point during 2017, 1000 escape rooms will be open across the UK and Ireland. This was a deliberately bold statement which I chose partly because we’ve continually underestimated the numbers of rooms and partly because 1000 was a round number. I stand by it though – I still think there’s a 50% chance of us exceeding 1000 by the end of the year. During the first half we’ve moved from 600 to 800 games, or a growth of 33%. Even if that drops off slightly, to, say, 25%, we should just scrape over the finish line. It’s hard to be sure in this industry but it still feels like a reasonable estimate. 1000 rooms. It’s a pretty good number. A few stories this time round but nothing on the sacle of a few weeks back. Two new games to announce in the region this week – first up, Clue HQ Malvern is the latest in the long list of Clue HQ venues. According to the website they’ll be opening with Bunker 38 and Cell Block C.
If you’re looking for a job in the escape room industry then Clue HQ are currently recruiting for a Venue Operations Manager in Birmingham with a salary of £20-27k. Full details on their website. 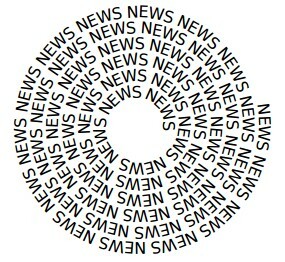 The other arrival is the independent company Room Release. They’re set to launch Disappearing Doctors but it looks like they’ll be sharing premises with Clockwork Escapes to start with – giving you three games to play if you make a pitstop in Wolverhampton. Another Clue HQ franchise is set to open, this time in Sheffield. The website suggest this will be starting with the same games as their Malvern branch – Bunker 38 and Cell Block C.
Those of you with long memories may remember the free game run at the St Helens Library. Well, it looks like the same company is back with a teletext-based escape room over in Wigan. Limited dates so get in quick if you want a ticket. Random report from Preston where escape rooms were specifically mentioned in an Ofsted report. Under the “Overall experiences and progress of children and young people”, the school was rated outstanding (the top possible grading) and while the escape room obviously wasn’t single-handedly responsible for that, it’s an interesting soundbite. Escape Room Centre, the Blackpool company, opened Grimoire in the Attic, their fifth game and first home-developed venture. Breakout Liverpool is expanding with Vacancy and The Detective Office making their debut in the Merseyside venue. Two big closures were announced this month. First up, AI Escape are closing Leo’s Path at the end of this month while Escape Plan are closing The Adventure Begins towards the end of August. Both games are moving over to make room for new experiences. Another school with an escape room connection but this time making one. Fancy becoming an escape room employee? Look no further – they’re looking for acting hosts in Trapped in a Room’s Zombie game. Pie and Mash Shop, the second game from Do Stuff Escape Games opens this week. The UK Escape Room community has a thriving enthusiast Facebook group. Well, great news – Ireland had one too now. Head over to Facebook if you want to join and make sure jump in and say hello! The third of the Clue HQ expansions is in Bedford. At the time of writing they’ve only got the Betrayal of Cluetankhamun listed for opening. The Escape Key look set to open this week with their first game entitled “Armageddon”. Exciting Escapes are opening their second site – this time up in Basingstoke. The first game to make its way across is A Hidden Past. A quieter week this time round. Big thanks again to Jackie from Exit Games Scotland and Paul from Bolt Escape Games Dublin for keeping me in the loop on Ireland and Scotland. We’ve known for a while but I don’t think there’s been any mention on this site – Escapologic, one of the most popular escape venues in the country have acquired a second site. Expect games to start appearing in Leicester later this year. Only last week I mentioned that Escape Reality would likely overtake Breakout as #3 in the country. Well, that obviously wasn’t acceptable to the Breakout Liverpool crew and they’ve announced that they’ll be opening more rooms at the branch, having taken over another floor of the building. Expect copies of Vacancy and the Detective Office to open soon but there are more in the pipeline. A few months ago, Escape Hunt declared their intention to open sites across the whole country. Well, it looks like they’re starting to deliver on that promise, first with a Birmingham announcement and now this article about a new site in Manchester. Escape Live is another company that we’ve known was set to launch a new venue but I don’t think had had a mention and they’ve now announced an address so we’ve added a pin to the map. And their sister venue, over in Coventry, have opened Casino Heist, a “steal as much as you can” escape room. There’s a one night competition, Breakout Bristol, taking place in Bristol that sees teams taking on what looks to be a mixture of mental and physical challenges and culminates in an escape room. I’m not certain but given the description, it looks to be either Hell in a Cell or a variant thereof. Omescape in London have entered the VR escape room market with their first game called Mind Horror. Note that you can now view VR rooms on a separate page of the exitgames site. Escape Boats, in Dublin launched, if you’ll forgive the pun, over the weekend, with their first game called SOS. Escape Reality are continuing their onward march across the country, this time with the announcement of an Edinburgh branch. When that location opens, they will likely become the third biggest UK brand by number of rooms, displacing Breakout. With rumours suggesting that Birmingham and Manchester may follow soon, there’s a very good chance they’ll be the first company in the UK to hit 50 rooms. Pirate Escape closed Pirate Island ready for their new game to open next week. Escape Reality Coventry had their official launch last week with coverage by the local paper. Escape Live are going ahead with their plans in Stratford-upon-Avon. No details yet as to when the venue will open though. X-it Games are looking to launch near to Bradford and have already had mention in their local paper. Hour Escape opened the first of their two “The Abandoned Cabin” rooms. If you want to play head to head, you’ll need to wait a couple of weeks for the duplicate room.